The Career Services event that I went to seemed to be just perfect for me because it was something I wanted to learn more about. The business tool/networking site that we learned more about was LinkedIn. Until this year I was vaguely familiar with the real use and purpose of this site and came to find out through this seminar that it can be extremely beneficial to college students looking for jobs and internships. Build your profile– describe anything your have been involved in whether it is an internship, job, or organization- all of these things are important. Also include your education because this along with other work experience is important to the potential employer. 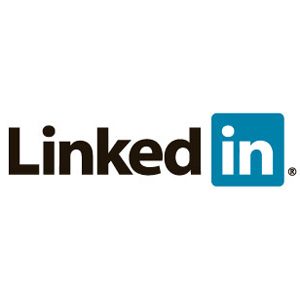 Get connected- join your school LinkedIn group that’s a great way to connect with other students and can be very helpful in the long run. Also connect with your family- when you think about it these connections are more like a web and can expand from personal relationships or others that you make through these people. These people can make recommendations for you! Research– If you are interested in a specific field- LinkedIn can help you by searching for companies that work in areas of your interest. Network- Once you find your interest NETWORK. This is hands down one of the most powerful tools in any industry you want to work in. Finds alums and employers that can help you start off on your journey because that’s what everything in life is all about! This seminar made me much more interested in the network than I was before because I understand the power that it has. In this day in age you can never be too involved in social media networks because it allows you to make connections. There are so many people looking for jobs fresh out of college and it is OUR JOB to make sure that we use all of the tools we have to the best of our abilities. I personally think that employers will also be thoroughly impressed to find a young adult familiar with the site because it shows initiative and interest in the business world. It also shows that you take yourself seriously and want others to do the same, and they will. I hope that this was helpful to you because it certainly was for me. I feel that as a student I needed some of this information to further expand my profile and it definitely needs a little bit of work! I also found the LinkedIn event to be very informative! It helped me a lot too. I agree with what you said about employers being impressed about young adults being involved in LinkedIn. I think this social media site is still relatively new to most students in college and recent college graduates, so I think it is beneficial when a graduate already has a LinkedIn profile for employers to check out. I was not sure about LinkedIn at first, but now I feel as if I understand the many opportunities this site holds for people. Networking is so important, and this site is great for it! I am glad that we were able to attend this event. I think we were both in the same boat with our knowledge and use with LinkedIn before the workshop, so it was good to be there together. I think the best part was to get information on networking and being able to look up company’s profiles. Also, I really liked the video in our post. It was a really good wrap up of the information from the workshop, and a little extra by giving step by stop on how to look for jobs by the job title, industry, and location. Great post! This would have been the perfect workshop for me to attend. I need major help with LinkedIn. I am glad that I at least have your blog to refer to with questions. Thank you for sharing what you learned. This post offers some good advice for getting started on LinkedIn. I suppose I have spoiled myself with Facebook and gotten so used to its format that I have trouble getting accustomed to other forms of social media. At first LinkedIn was a bit confusing to navigate but now I think I’m pretty fluent with it. The main thing I don’t like about it, though, is the process you have to go through to connect with others. On Facebook you just click “request friend” and wait for the person’s approval. But on LinkedIn you have to find the person and type out their e-mail address (assuming you know it) and then wait for approval. It definitely took getting used to.